Product information "Und dann kam Luna"
Christine Bruegge should really have been born as a dog – she is sure of that. But because she has two legs and cannot earn her living by chewing up shoes, she perforce became a journalist. 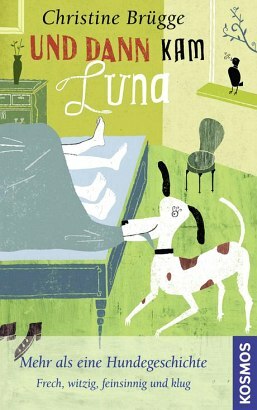 When her husband -- inexperienced when it comes to dogs -- and herself meet the headstrong dog Luna, the chaos starts. The entire spectrum of experiences and feelings – Christine Bruegge captures them at high speed, cheekily and with a large portion of self-mockery, and in the process she casually covers all subjects relevant to dogs. From doctor to riding in a car. From food to fanaticism. From a dog’s destructive impulses to the human breaking test. When “Miss Luna” discombobulates the home and the comic side of desperation begins, every dog owner probably recognizes him or herself.